Returning once more, probably for the last time in the First-Year Alumni feature, to the Class of 2014, we meet Christina Brown, for whom study at Fletcher was one step in a multi-step career transition. Three years ago, I was packing up my classroom after finishing another year of teaching physics, and now I am a few weeks away from beginning a PhD program in economics. The last three years have been a wonderful period of change and self-discovery, and at Fletcher cases like mine are not unique. I am one of many classmates who used Fletcher for a career transition — a place to both discover what it is you want to do and then gain the skills to make that career path possible. Prior to Fletcher, I taught high school in a low-income community outside Boston through Teach for America and in a rural village in Tanzania through One Heart Source, a health and education NGO. While I loved teaching, my enjoyment was tempered with frustration over the tremendous systemic problems constraining the education market, especially in developing countries. I wanted to work in the development sector, but I did not know how to break into the field, or for that matter, where. Did I want to be a program manager? Evaluator? Sectoral specialist? I wasn’t sure where my skills and interests would be a good match. I chose to attend Fletcher because I wanted the flexibility to explore development from different perspectives, to see where I would fit best. Coursework in my first year in program evaluation and in development economics helped to solidify my interests, allowing me to gain useful skills for the development sector. Prof. Cheyanne Scharbatke-Church’s series of monitoring and evaluation courses were particularly useful. Her approach to evaluation is exceptionally rigorous, and with many of the alumni of her courses now in leadership positions within evaluation departments, her high aspiration for the evaluation field is seeping into many organizations. This group of former students stays in contact, growing year by year, through an email listserve and yearly gatherings at the American Evaluation Association Conference. However, it was Prof. Jenny Aker’s coursework that ultimately led me to the path I am currently on. Like many members of the Fletcher faculty, Prof. Aker has many years of experience as a practitioner, working in West Africa, before returning to academia. And it showed in every lecture she taught. Her research was fascinating and thoroughly informed by her work in the field. There are many opportunities to work closely with professors whose work you are interested in, and I was lucky to serve as both a teaching assistant and research assistant for Prof. Aker. At heart I am a math nerd, looking for an analytic approach to solve problems. Fletcher showed me that I could still care about the issues I was interested in — poverty, education, inequality — while approaching them from a quantitative angle. Seeing academics like Prof. Aker and others who were doing policy-relevant research and were at the forefront of the issues in their field, showed me an academic career need not be divorced from the issues on the ground. Towards the end of my first year I decided I wanted to do a PhD in economics and become a researcher. Rather than a light bulb going off, it was a slow, profound realization that this was what I wanted to do with my life. Luckily, due to Fletcher’s flexibility in coursework and ties to Boston-area schools, I was able to pivot in my second year and take two PhD-level courses at the Harvard School of Public Health and one at the Harvard Kennedy School. At Fletcher, students are required to do a capstone project, which can take the form of the deliverable that is most useful for the student’s professional development. I choose to write a paper similar to an economics journal article, as it allowed me to see the research process from start to finish. I used an econometric strategy I learned during my first year to investigate the impact of an early grade literacy program in Indonesia. I found the program only had an effect for higher performing students and that this heterogeneity stemmed from differences in the time cost of participation in the program. These findings were used to inform the program scale-up. This experience deepened my love of the research process, and the tangible outcomes it produced. A week after graduation, I began as a Research Fellow at Evidence for Policy Design, the microeconomic division of Harvard’s Center for International Development. 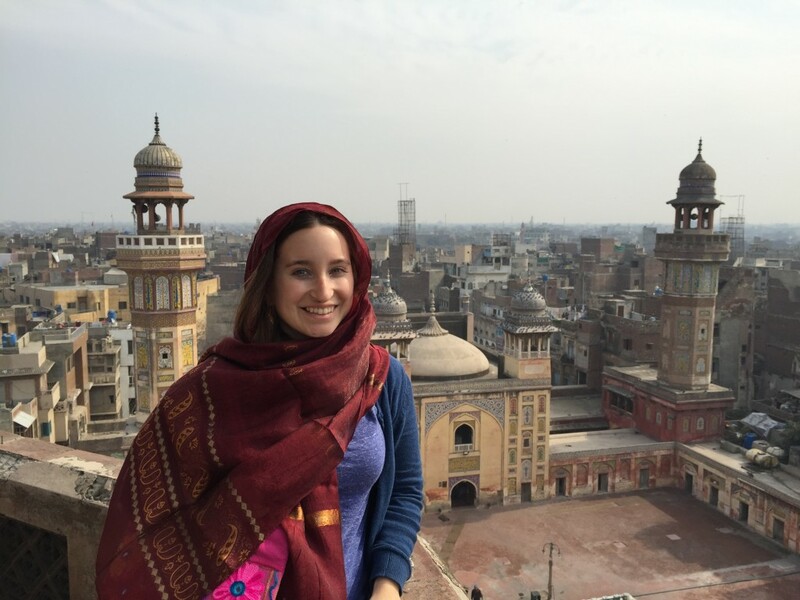 I oversee the implementation, data collection, and analysis for two randomized controlled trials in Pakistan, working closely with our field team and six principal investigators across several universities. The job was a perfect fit, building off the RA skills I had gained working with Prof. Aker, and, of course, I heard about the job through a fellow Fletcher student. Throughout the fall I applied to economics PhD programs and, again, Fletcher professors came through to offer advice and support. I am thrilled to be attending UC Berkeley, which has one of the best programs in the world for development economics, this fall. I truly would not be here if not for the mentorship I received from Fletcher faculty, opportunities I heard about through Fletcher alumni, and friendship of fellow Fletcher students.